The Florida Swing has been a brutal one for DFS players so far. Another tournament where 6/6 was about 5%. The fun started Thursday when Kevin Na withdrew after roster lock, before he teed off. I saw him about 10-15% owned in games and that 0 is hurting a lot of people. I'm cashing a lineup with him on DraftKings currently, but probably won't come Sunday night. Then on Friday, Bryson DeChambeau withdrew. All of that and we aren't even to the missed cuts by Tony Finau, Jason Dufner, Jordan Spieth, Kevin Streelman, and Chesson Hadley, to name a few. There are 78 players who made the cut; the maximum allowed without having a MDF. So, unless a player withdraws or gets disqualified, they will play the entire weekend. As usual, I'm going to look at players who are hitting well Tee-to-Green, but may not be putting as well. I also may focus on some who are good in every stat category through 2 rounds. Tiger Woods fits the profile of being positive in all strokes gained categories, gaining 2.8 Tee-to-Green. I expect him to be popular so beware of high ownership if you play him. Sean O'Hair leads the field in SG: Tee-to-Green, gaining 3.87 strokes, but losing .08 strokes. He has 10 birdies and 1 eagle so far, best in the field. He also has 7 bogeys and 1 double bogey. He's an intrigiung tournament play due to his scoring ability so far. Martin Flores has made 8 birdies so far, if you are looking for someone down the list of scores. He has been pretty good on approach, but struggled off the tee and around the green. If you are looking for other golfers who have gained more than 2 strokes Tee-to-Green and are positive in all the categories, take a look at Paul Casey, Corey Conners, Webb Simpson, Trey Mullinax, and Keegan Bradley. I did like Casey coming into the week; however, I worry about him on Sunday, as it hasn't been his strength in recent years. Webb Simpson and Keegan Bradley are ones I also played in my main lineups and I can see myself going back to them. After having some concerns on Matt Kuchar coming into the week, he has some potential for me. He has gained 1.1 strokes on Approach: Same as Tee-to-Green. He's neutral on putting, while his gain off the tee is cancelled out by his lost around the green (0.8). He's the biggest name I'm intrigued in that is over par, but I'm debating whether I will play him or not. Other Golfers I may end up using: Justin Rose, Steve Stricker, Zach Johnson, Sergio Garcia, Adam Hadwin, Chris Kirk. From the National Weather Service. Temperatures in the low to mid 60s, and no rain. However, the wind is the major concern, especially on Thursday. Thursday has 10-15 mph winds with gusts from 20-22. The gusts pick up starting about 11:00 am and stay up the rest of the day. Friday has 5-10 mph winds with the winds slightly going down as the day goes on. I don't see enough of an advantage to alter my lineups. However, there may be a slight advantage to those who go off among the first few groups on Thursday morning (Beau Hossler, J.B. Homes, Chesson Hadley, Ben Martin, Louis Oosthuizen, Scott Brown, Jason Kokrak, Luke List, Byeong-Hun An, Ryan Moore, Charles Howell III, Ryan Armour, and Jason Dufner are all teeing off before 7:30am EST) as they will have the calmest winds on Thursday. Use it as a second or third tiebreaker if anything. If playing many lineups, consider stacking a team from the early tee times on Thursday. 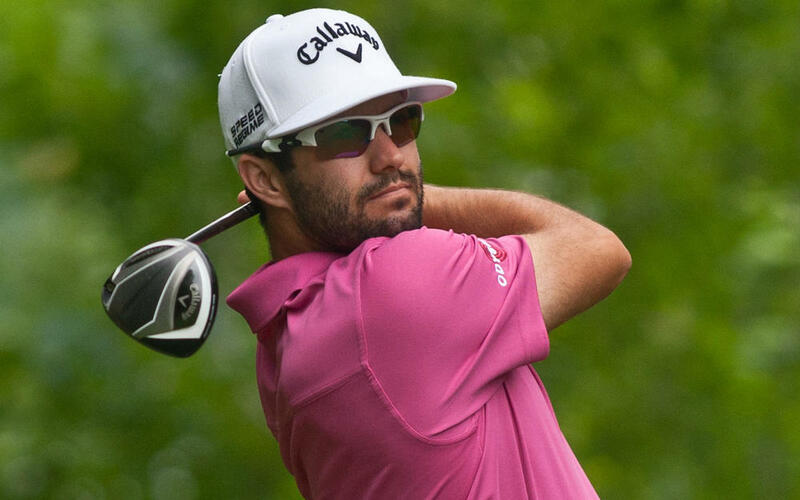 20%+ ownership: Adam Hadwin, Tony Finau, Jordan Spieth, Henrik Stenson. I am not playing Spieth or Finau due to ownership. I wasn't on Cam Smith to begin the week, and didn't get on him since this article. I am only playing Hadwin in one lineup due to the projected 25% ownership. Vaughn Taylor has withdrawn. He was one I did look at but didn't make the article. If you have him in your lineups, find an alternative. Players I am playing that were not in Original Article: Brandt Snedeker. Projected at under 5% ownership, Snedeker has a history of playing well in the wind. Two Top 25s in 2018 and needs a good finish to get into the Top 50 of the World Golf Rankings to play at The Masters. Ranks 2nd in Scrambling, 9th in Bogey Avoidance, and 30th in Fairways Gained. Players I am not playing that were in Original Article as Main or Secondary Write-Ups: Jordan Spieth and Tony Finau (Mentioned earlier), Tiger Woods (waiting one more week on him), Matt Kuchar (current form scares me, over 10% ownership still so I'm willing to fade him until I see better results), and Dominic Bozzelli (nearly 10% owned, prefer Harkins more than Bozzelli. Didn't need to go to 8k on FanDuel, and same price on DraftKings). After a brief detour to Mexico, the Florida Swing picks up with the Valspar Championship. We are about a month away from The Masters, so these next few tournaments are important for players to get into form and for some, qualify for Augusta. One major prep was last week in Mexico. Best Pick of Last Week: Charley Hoffman. Yes, I could have gone Phil. But Hoffman came in at low ownership, and had 16 birdies on his way to a T20. This also included a bogey-free round. If I was a little better with higher priced players, he would have led me to some nice cashes at his bargain price. Worst Pick of Last Week: Matt Kuchar. 9 Birdies? That's all Kuch had and shooting +8 was not like him. This is three straight tournaments of no Top 25s for Kuchar, something very odd for him. He will be an interesting decision this week, as he does have a solid history at the Valspar. It will done Friday night this week, probably by Midnight EST. Free for everyone, including non-subscribers. We've seen scoring all over the place at this event the past few years, with cuts ranging from even par to +4. We saw a winning score of -14 last year, and -7 the year before. Everything I look at statiscally comes back to Approach and Tee-to-Green. Those are weighed heavily for me again this week. Scrambling popped as something to consider here as well. Finally, with such a wide range of scores, I included Bogey Avoidance and Fairways Gained, as the rough here can be truly penal at times. Distance didn't seem to be key, so we may see a lot of 3-woods and less drivers, except on the Par 5s. Only 144 players in the field, so about half will make the cut. We continue to see a lot of Euro Tour players in the Florida events, and they have been playing well here in North America so far this year. It's another deep field with some of the Euros, along with Tiger and Spieth. There are 4 Par 5s, and 5 Par 3s in a little twist for a Par 71 course. Finally, one change to the format of this article. With FanDuel sticking to its current pricing format, and I usually don't write about many players in the 7k range, I'm going to break down the tiers into the following: 11k+, 10k, 9k, and 8k. If there is someone I like in the 7k tier, I will also point them out. Jordan Spieth (12,400) is a past winner here, and has never finished worse than 20th in four starts. He has gained 33.6 strokes here the past five years, #1 in this field. Ranks 1st Tee-to-Green and 4th in Bogey Avoidance. Scrambling is a concern. Paul Casey (11,400) has missed the last two cuts here, though he hasn't played here since 2014. Bounced back nicely after a tough Thursday to finish 8th in Mexico. 10th in Birdies or Better, 11th Tee-to-Green, and 13th in Approach. Tony Finau (10,800) was 5th last year, and has three Top 6s this season. Ranks 2nd Tee-to-Green, 7th in Approach, and 11th in Bogey Avoidance. But, not great at scrambling or fairways gained. Will fade if ownership approaches 20%. Webb Simpson (10,700) has Two Top 5s and Two Top 25s this season. Not a great recent history at Valspar, though he does have a 10th a few years back. 24th Tee-to-Green and 32nd at Bogey Avoidance. Matt Kuchar (10,600) has been struggling as of late, but has great form here. Past six years, he has one Top 10, three Top 25s, and no finish worse than 38th. He has gained 26.5 strokes the past five years at the Valspar. 39th in Bogey Avoidance, around average for other stats. I don't know what I'll do with him yet. Charl Schwartzel (9,800) has played here twice, finishing 1st and 6th. Has made all six cuts worldwide this year, but no Top 10s. Top half in all stats except Fairways Gained. Ryan Moore (9,700) has two Top 10s this season, and has finished 3rd, 5th, and 18th the past three years here. Doesn't stand out in any stat, but is Top 50 in every stat I'm looking at this week. Keegan Bradley (9,000) has two Top 10s this season and has made six of eight cuts. Not the best history here with a 58th and Missed Cut. Has some nice stats: 2nd in Approach, 4th Tee-to-Green, and 11th in Fairways Gained. Dominic Bozzelli (8,000) was 3rd here last year, and last two starts on Tour have been a 13th and 26th. Does not have good stats: 34th in Scrambling is his best. No one I really want to play. Tom Hoge and Davis Love III (more on Fantasy Draft for DL3) would be in consideration, but I think there is enough value in the upper 8k range and 9k range that I don't really want to come into this range. Similar field construction to the Honda, we will see how much traction the Euro Tour players get. The Wednesday update will help with ownership and weather. That will probably get me off of some players, and onto others more. Good luck with your lineups and feel free to contact me on Twitter (@skeeterrobinson) if you have any questions or suggestions.